Meanwhile, the S&P BSE Sensex was up 76.18 points, or 0.21% to 36,901.28. On the BSE, 42.90 lakh shares were traded in the counter so far compared with average daily volumes of 6.16 lakh shares in the past two weeks.  The stock had hit a high of Rs 78.30 and a low of Rs 71 so far during the day. The stock hit a 52-week high of Rs 108 on 23 January 2018. The stock hit a 52-week low of Rs 64.50 on 17 July 2018. 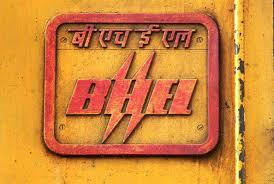 Shares of Bharat Heavy Electricals (Bhel) rose 10.47% in three trading sessions to settle at Rs 73.30 yesterday, 24 July 2018, from its close of Rs 66.35 on 19 July 2018. Bhel's net profit rose 92.50% to Rs 155.58 crore on 8.13% increase in sales from operations to Rs 5790.08 crore in Q1 June 2018 over Q1 June 2017. The result was announced during trading hours today, 25 July 2018. Concerted efforts resulted in order booking to increase by two and a half times to Rs 4371 crore, compared to Rs 1744 crore in the corresponding quarter last year. This performance has been made possible through prudent strategies of accelerated execution, cost control and resource optimization measures. The next wave of growth is being engineered with a focus on enhancing the order book in diversified as well as conventional areas, coupled with efforts to further enhance the executable order book. Bhel is an integrated power plant equipment manufacturer and one of the largest engineering and manufacturing companies of its kind in India.